VOD Release date May 25, 2018 on Amazon and iTunes. It will be available on Vudu, and Google Play on June 6th. Check it out, it's a good mystery that'll keep you guessing. and introducing Taylor Castro. 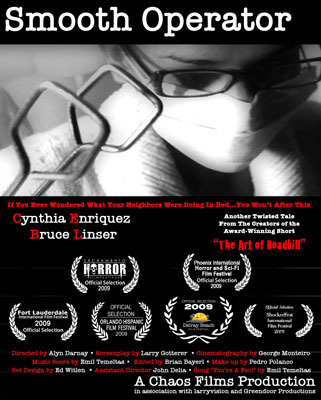 Summer of 2017 the film won "Best Feature" at an important film festival in Fort Lauderdale. 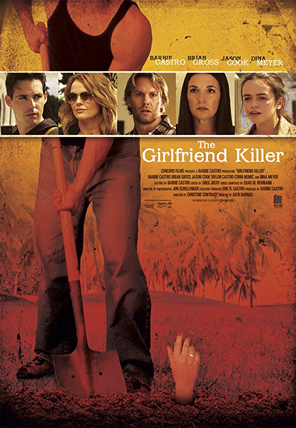 Airing periodically on Lifetime Television and Lifetime Movie Network. To view the Teaser click on the poster. 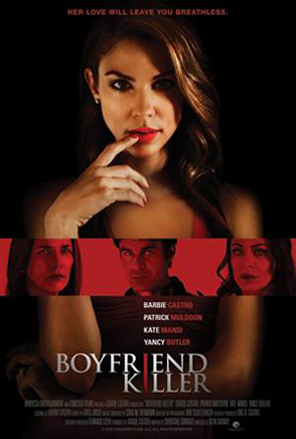 The 2017 Boston International Film Festival awarded Alyn the Best Director Award for "Boyfriend Killer". 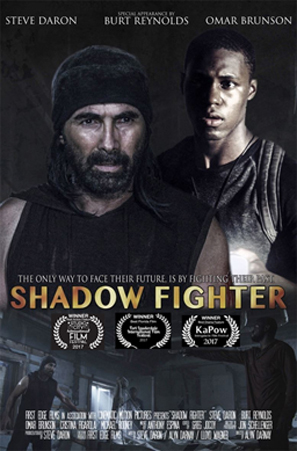 SHADOW FIGHTER - An inner city fable, directed by Alyn Darnay and starring actors Steve Daron and Burt Reynolds. Coming soon to a theater new you. 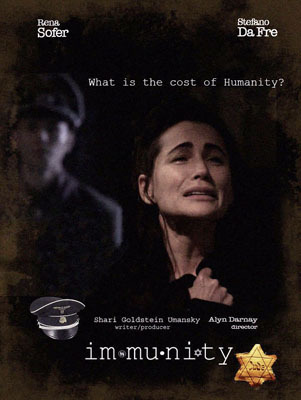 IMMUNITY - A Holocaust film, directed by Alyn Darnay Starring Rena Sofer and Stefano DaFre is currently winning awards at film festivals across the world.
" The film is exceptional. Shari Goldstein Umansky writes with her heart and soul and brilliantly manages to touch yours, as well. 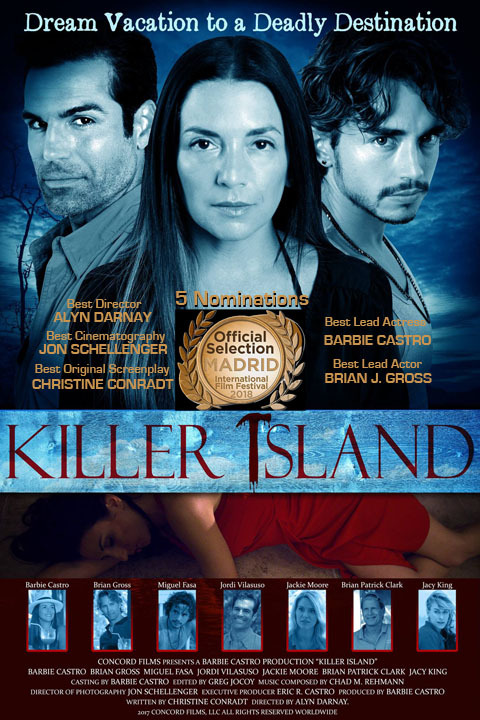 Alyn Darnay's fine directing ability enhances the performances of the actors' and the excellent dialogue." To view a clip click on the poster. 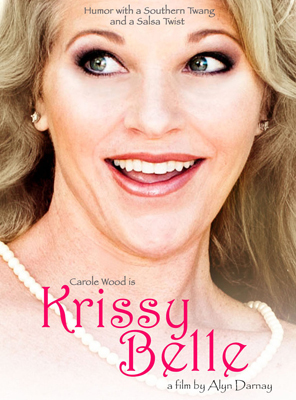 KRISSY BELLE - The adventures of a wholesome 'Southern Belle' transplanted into the center of Miami's Latin community. It's a Fish Out Of Water story that gives new meaning to the phrase 'culture shock.' It's humor with a Southern Twang and a Salsa Twist directed by Alyn Darnay. 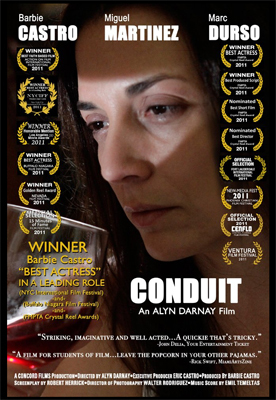 CONDUIT - A multi-award winning film directed by Alyn Darnay that tells the story of a woman confonted by a man claiming to have a message for her that will change or end her life. Starring Barbie Castro. To view the Trailer click on the poster. SMOOTH OPERATOR - Directed by Alyn Darnay. If you ever wondered what your neighbors were doing in bed, you won't anymore.